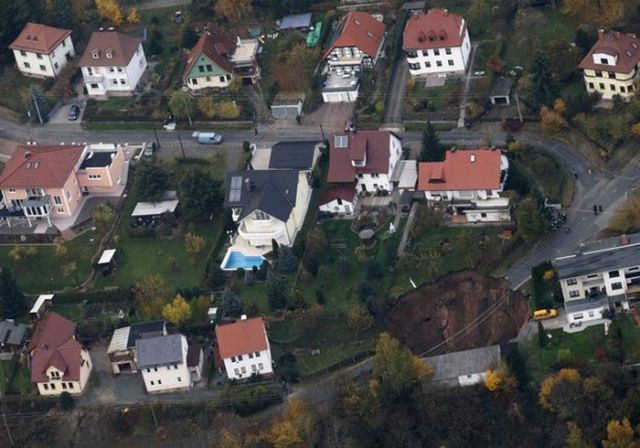 This is a giant landslide in Schmalkalden, Germany. 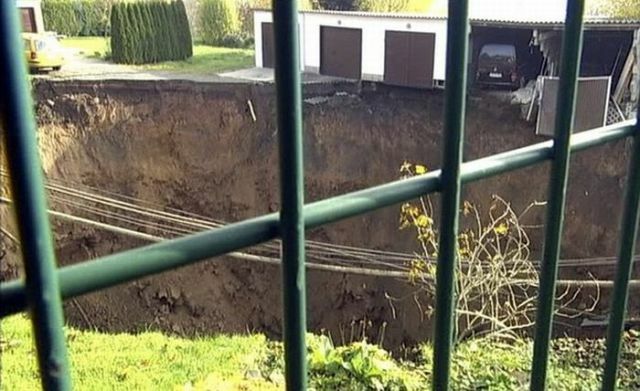 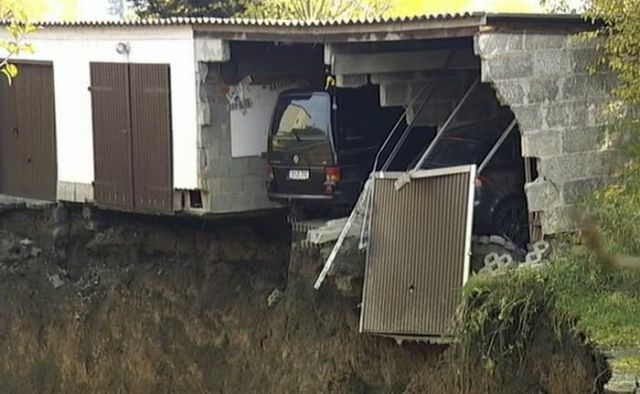 Although the cause of the landslide isn’t known, what is known is the amount of devastation it caused. 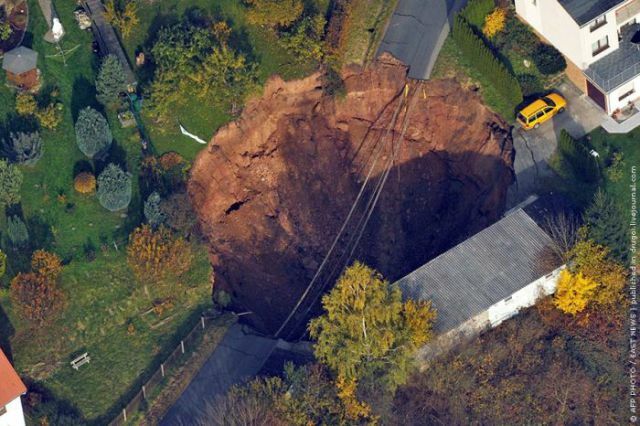 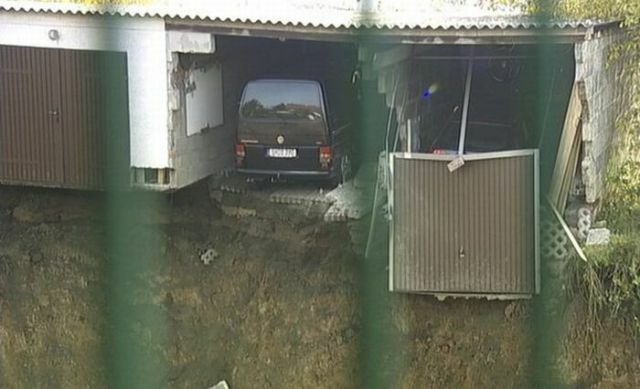 One of the things it caused was a tremendous hole right in the middle of a road. 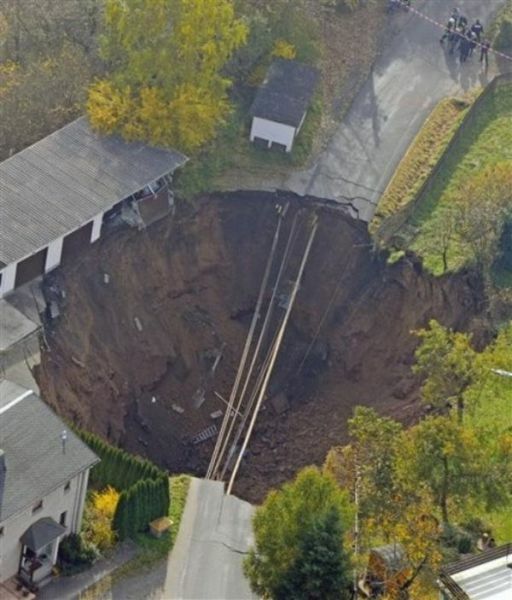 That's not a landslide. 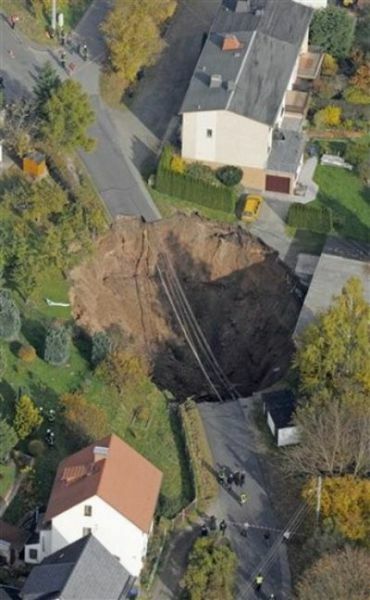 It's a sinkhole. 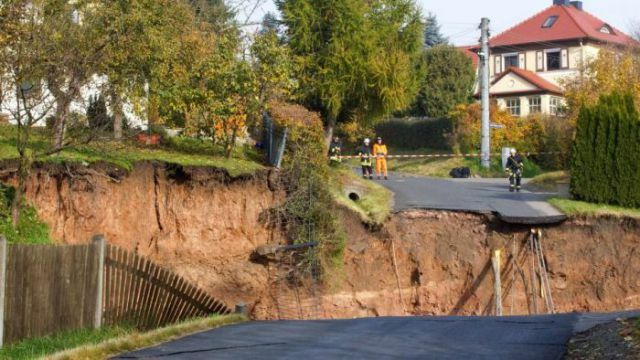 A landslide is when the land SLIDES!. 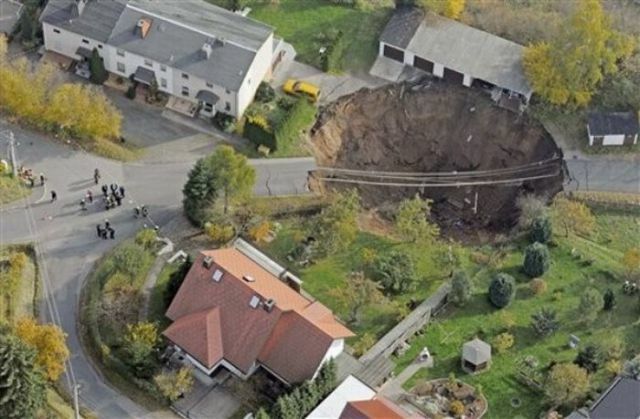 Just make a bridge across... Or make an epic basement for one of the houses. 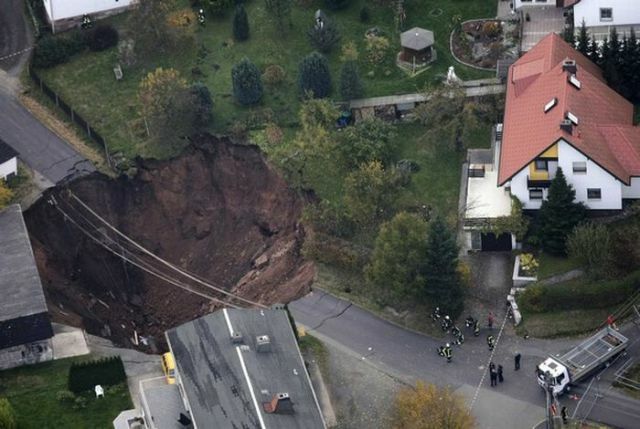 maaaaan... that would make one hell of a pool.